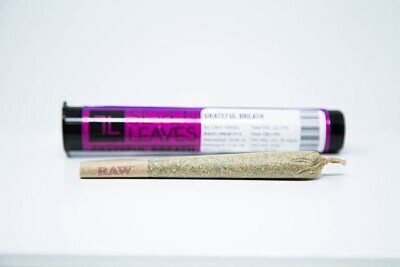 THC 22% Cannabis excellence arrives in joint form with the Grateful Breath Pre-Roll. This euphoria-inducing Hybrid rushes both mind and body with a haze of relaxation. The pros at Seven Leaves cured Grateful Breath flowers to their peak, spiced flavor that’ll have tokers thanking the heavens after each hit.